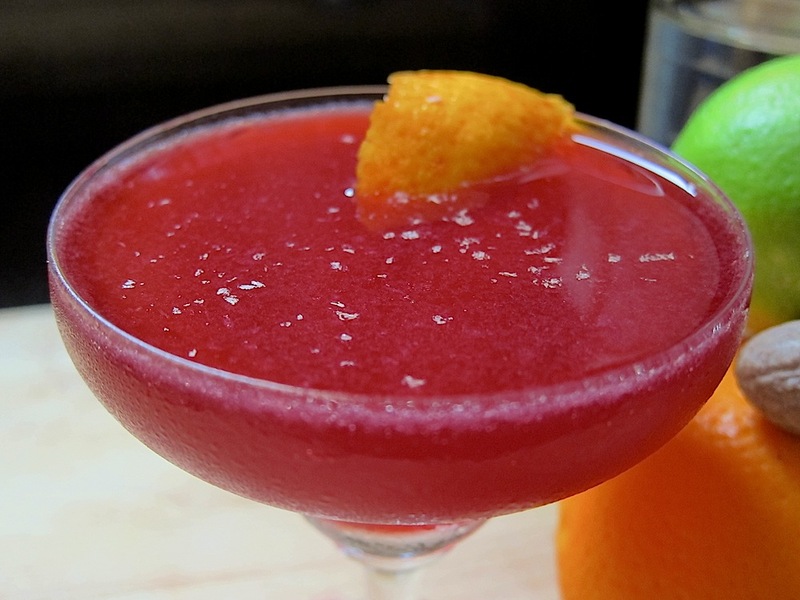 The third recipe to use the chicha morada base, is a Pisco morado, or purple corn Pisco. Thought it took me 5 attempts over two days to make this cocktail, I was very happy with the results. I could taste all the ingredients, and be certain I was drinking something that could only come from Peru. With the deep color and flavor of chicha, sharpness of citrus, and a sweetness that brings out the punch of Pisco, this cocktail represents the unique spirit of Peru. Mix the Pisco, chicha morada base, juice of 1/2 a lime, and simple syrup in a shaker. Add ice and shake for 30 seconds to chill. Serve strained in a coupe, and garnish with a twist of orange peel and nutmeg zest.